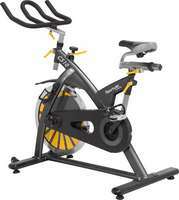 SportsArt takes spin class to a whole new level of energy and competition. With a precision machined flywheel, fully enclosed drive belt, and extra wide base, the C510 offers an experience most users have never felt before. Combining ergonomic handelbars and user-focused feature adjustablilty; spinners can focus on their workout, rather than their ride position. Fore-mid-aft seat adjustment allows for optimal seat positioning. Unique low profile shroud allows easy access. Oversized pedals feature quick strap adjustment for easy customization. Self-generating - no outside power source required. ComfortDri vented padded seat back allows for airflow throughout the workout and is molded to provide ultimate support. Convenient seat adjustment handles are easy to reach while exercising. 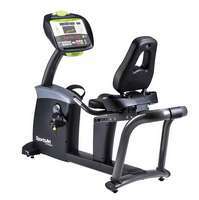 Adjustable seat back provides extra comfort for any exercise position. Oversized pedals feature quick strap adjustment for easy customization. SportsArt cycles are self-generating; no-outside power source required. The contact heart rate is standard and a wireless Polar HR receiver is built in, multiple language options are included (English, Spanish and French). Fore-mid-aft seat adjustment allows for optimal seat positioning. Unique low profile shroud allows easy access. Oversized pedals feature quick strap adjustment for easy customization. Self-generating no outside power source required. SportsArt cycles are self-generating; no-outside power source required. The contact heart rate is standard and a wireless Polar HR receiver is built in, multiple language options are included (English, Spanish and French). ComfortDri vented padded seat back allows for airflow throughout the workout and is molded to provide ultimate support. Unique step-through design allows easy access. Convenient seat adjustment handles are easy to reach while exercising. Oversized pedals feature quick strap adjustment for easy customization Self-generating no outside power source required. SportsArt cycles are self-generating; no-outside power source required. The contact heart rate is standard and a wireless Polar HR receiver is built in, multiple language options are included (English, Spanish and French) and a 3-speed fan keeps users cool. ComfortDri vented padded seat back allows for airflow throughout the workout and is molded to provide ultimate support. Convenient seat adjustment handles are easy to reach while exercising. 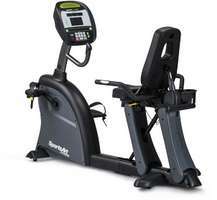 Adjustable seat back provides extra comfort for any exercise position. Oversized pedals feature quick strap adjustment for easy customization. SportsArt cycles are self-generating; no-outside power source required. Users will enjoy the built in wireless Polar HR receiver and multiple language options (English, Spanish and French). SportsArt ECO-POWR cycles are part of our green technology product line with integrated micro-inverters built in, and the first of its kind to harness the power of human energy and put it back into the grid. When plugged into a power outlet the human energy generated converts to utility-grade electricity, offsetting significant savings for the club owner. 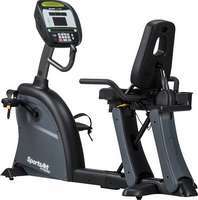 Arizona Extreme Fitness will deliver and setup your favorite quality SportsArt Fitness Bike in Prescott, Flagstaff, Sedona and Phoenix, Arizona at your location! Come on in and browse our 3000 sq ft warehouse showroom in Prescott Valley, Arizona and try before you buy or if you already know what you want just call us for our best price and we will deliver or ship it to you depending on your location in the USA. 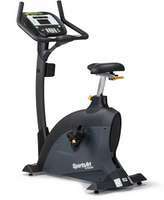 We sell, deliver, setup, install and service SportsArt quality brand recumbent, upright, commercial, residential fitness cyles and bikes.